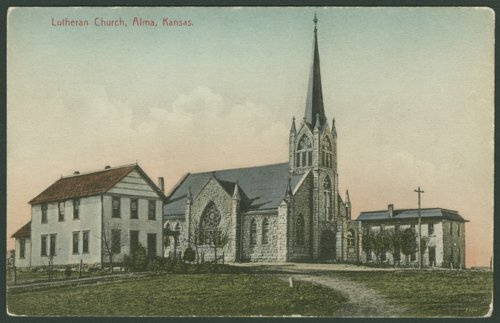 Two views of St. John's German Evangelical Lutheran Church located at 218 West 2nd Street in Alma, Kansas. The church was built in 1901. The school (at right) and parsonage can be seen on either side of the church.